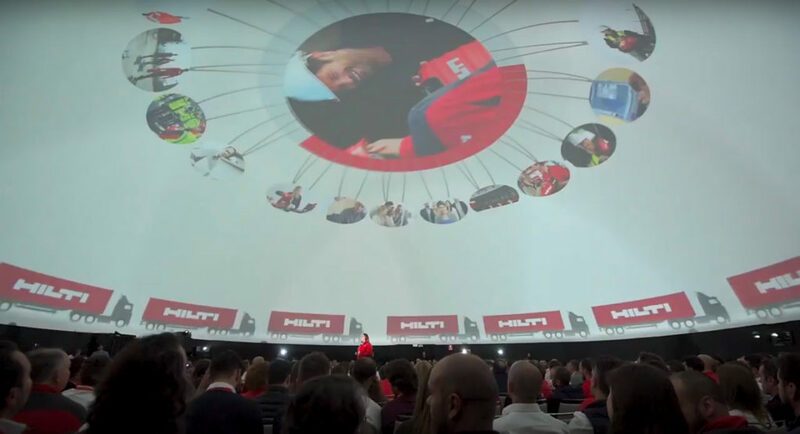 Hilti company has brought team building to a whole new level with a huge and thrilling Polidomes Projection Dome Tent. The aim was to start a new year with enthusiasm and thinking big. 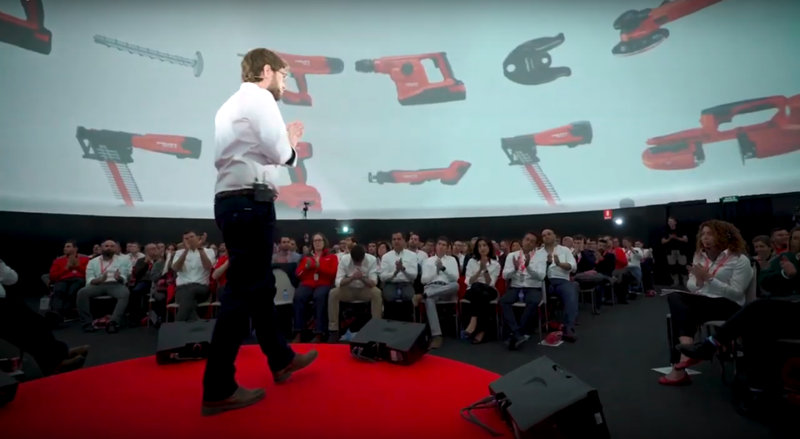 That’s why the whole team of Hilti Spain gathered in Madrid for an exceptional event! 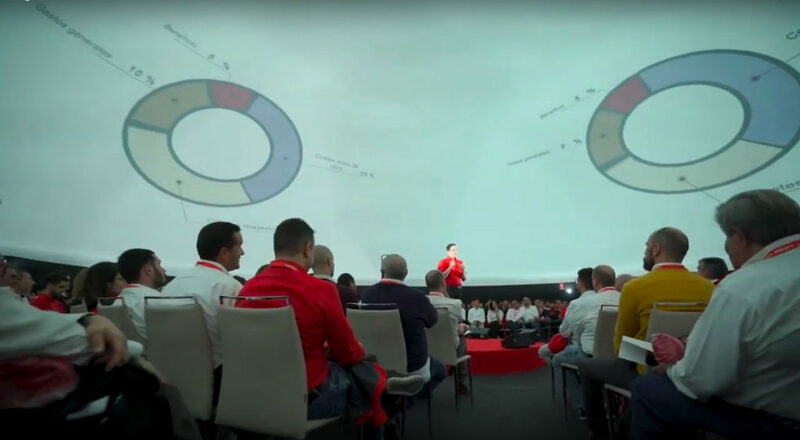 The main message was that Hilti is ready for 2019, and the year promises to be great: innovation, growth, digital expansion. When companies of such a big scale make an investment in their team, the experience has to be not only wildly entertaining, but deeply impactful. The chosen solution – Polidome 500 for Immersive Projection on the Dome met all the expectations! Polidomes offers a tool that lets utilize the power of video to grab people’s attention and pique their curiosity. High-quality immersive video projections covering the entire membrane surface inside the dome are something that takes visitors into the created content. The mobile tent was complemented with the premium plywood flooring for best presentation and safety. And for the best projection results inside the Polidomes dome tent, there is a special screen fastened using the negative pressure system. This inside liner covers almost all the dome surface allowing the 360° projection. Only one day, but infused with joy, humor, authenticity and humility, team-building activities can achieve the holy grail of company culture: an engaged, inspired, confident, supportive and innovative workforce. It really worth it – effective team-building turns employees into purpose-driven missioners for their company and their coworkers. Polidomes creates truly engaging spaces for any audience. We use technology, design and art to transform any general session or event into an experience that guests are sure to remember. 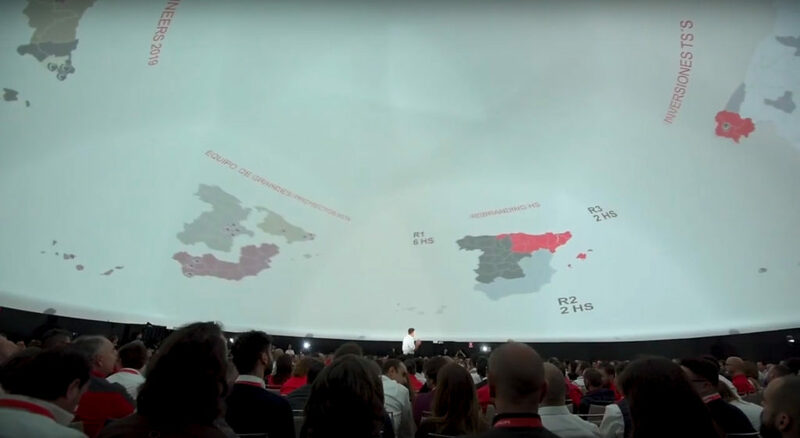 We develop and deliver immersive 360° projection domes for any scale events including music festivals, corporate events, business conferences, exhibitions and many many more.